Poker players can develop a tendency to get stuck playing Texas Hold Em all the time. It’s good to broaden your horizons, and learn the rules and strategies of some of the other popular poker variants. Here, we’ll discuss the rules of Omaha Hold’Em and give you some tips and tricks that will help you ace the game. Like in all variants of poker, Omaha Hold’Em is about trying to get the highest scoring hand and win the pot. There are actually several different games referred to as Omaha; the original version, the version we’re talking about here, is also known as “Omaha High”. 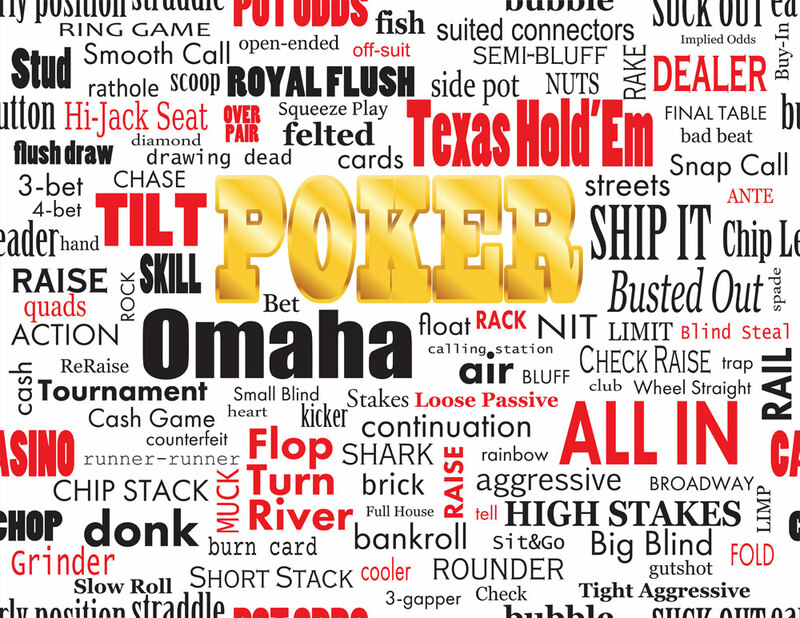 Omaha Hold Em is quite similar to Texas Hold Em but with a few key differences. At the beginning of the game, the player to the left of the dealer pays a “small blind” and the player to his or her left pays a “big blind”. Each player is dealt four cards whose value only they know. The first round of betting then begins, starting with the player who paid the small blind and then proceeding clockwise around the table. Each player can fold (choose not to play), call (bet the same as the previous player) or raise (bet more than the previous player). Betting proceeds until everyone has either folded or bet the same overall amount. After the first round of betting, three communal cards visible to everyone are dealt into the middle of the table. A second betting round starts next, with the nearest player who hasn’t folded to the dealer’s left going first. Again, betting proceeds clockwise around the table until everyone still in play has wagered the same overall amount. After the second round of betting, the dealer places a fourth communal card into the middle of the table for everyone to see. There is a third round of betting in the same format, followed by the dealing of the fifth and final communal card, and then a fourth and final round of betting before the reveal. All of the players who have still not folded reveal their cards, and the player with the best hand wins the pot. The way that the winning hand is determined in Omaha Hold Em is a little unusual. Every player must use exactly two cards from their own hand and exactly three cards out of the five community cards to form the highest scoring five card hand. Unlike in Texas Hold Em, slow and steady does not win the race. Delaying the game in order to try and build up the pot is a bad idea, because keeping players in the game longer means they are more likely to build a winning hand. Instead, you need to be aggressive. Try and push your opponents into folding as soon as possible. You need to try and make each round run fast. Being as aggressive as you can means bluffing is encouraged. In particular, bluff through raising your bets. Players feel safer because they have more cards in their hand, and so are more likely to call your raise or even continue raising the stakes themselves. Don’t fixate too much on the Ace cards. The aces can have a strong psychological effect on players, making them believe that they have suddenly become unbeatable as soon as they obtain an ace. The excess of confidence can lead to reckless play and money loss. This is a bad attitude to take in Omaha because the presence of four cards in each player’s hand means there is a high chance you won’t receive the other aces yourself. Don’t worry about where you’re sitting. In Texas Hold Em, where you’re sitting around the table can often have a profound effect on your chances of winning or losing the game. This is not the case in Omaha however. Wherever you’re seated relative to the other players, you’ve still got a good chance of winning the plot if you keep to a good strategy. Don’t keep glancing at your hand. You need to be able to memorise those four cards and make your calculations without having to remind yourself what you’ve got every thirty seconds. Repeated glancing down at your hands will signal to the other players that you’re nervous and or don’t know what to do, and will encourage them to try and push you out. Holding your cards up again and again also increases the risk that some eagle-eyed opponent will be able to spy what you’ve got.